Tesco, Britian's giant supermarket chain continues in its death spiral trend towards eventually becoming a mere fraction of its former self where each quaretly report is accompanied with a new profits warning that in its latest statement cut forecast earnings further to £2.5 billion, 25% lower than last years £3.3 billion. Tesco stock Investors in a state of denial if not shock who clung on in hopes for a recovery have now been dealt a cold hard reality as they see their dividend slashed by 75% to just 1.1p a share, so that Tesco can bolster its balance sheet by an extra £1 billion per annum that too ulimately will vanish down the expanding black hole that seeks to consume the super market giant. 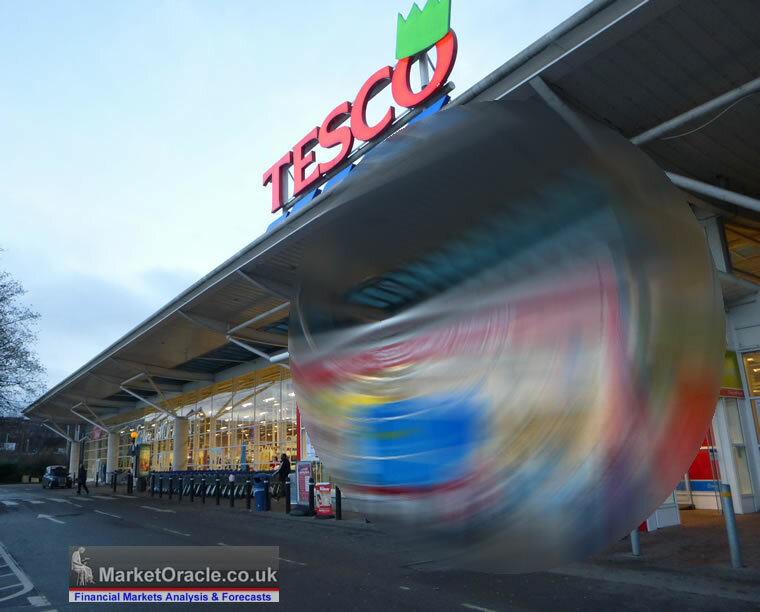 The Tesco stock price continued its death spiral to now stands at £2.30p, down some 40% from when I first warned of the dangers of holding Tesco stock in October last year when the Tesco stock price was just 3% shy of its 2013 peak of £3.86, warning that the Tesco management had become focused on club card gimmicks whilst ignoring what customers wanted which was GOOD customer service and VALUE FOR MONEY, and similarly have warned several times since that the Stock was literally in a death spiral. Those who have not heeded my calls to date to exit this doomed stock need to realise that it is still a long way down to ZERO! Clarke instead of encouraging LOVE has instead been fostering customer HATE!, That is the truth Tesco customers have increasingly come to despise the brand as a consequence of BAD customer service that they personally experience and numerous stories in the media of how mega-stores have sprung up all over the place despite resident resistance to create a monotonous shopping experience nationwide. 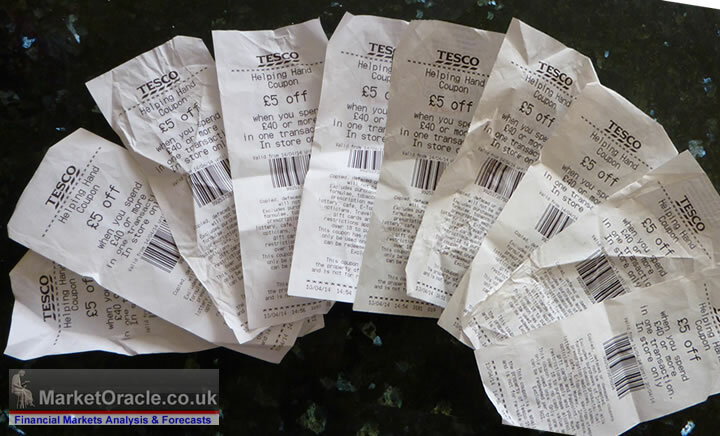 The best thing TESCO could do would be to DITCH the Tesco brand and CREATE a series of SEPERATE brands and pricing models based on locality. Go up market in wealthy areas and down market in poor areas because middle of the road DOES NOT WORK!